“Don’t sweat the small stuff,” someone once said. If only that were an option for us Christians! The Letter of James challenges us in part because its author is constantly “sweating the small stuff”—those so-called “small sins” that we often commit without giving it a second thought. This is one reason his letter is so difficult… and practical. In today’s scripture he turns his attention to that spiritually deadly emotion resentment. Why do we experience it and what do we do about it? In Sudan, a 27-year-old Christian woman named Mariam Ibrahim, who’s married to an American man, has been sentenced to death by hanging for not renouncing her Christian faith. In Nigeria, Islamic terrorists abducted 276 mostly Christian school girls and threaten to sell them into slavery. In Syria, one thing that the warring Muslim factions in the civil war can agree on is killing Christians: Over a thousand Christians were killed in 2013 simply because they were Christians. These are the same kinds of life-and-death situations that the apostles and many Christians in the early church faced on a regular basis. Read the Book of Acts. Read Paul’s letters, especially Philippians and 2 Corinthians. Read Peter’s letters. Read the Book of Revelation. Much of the New Testament encourages us to stand strong in the face of suffering, persecution, and death. But James—who himself did suffer and die for his faith—mostly doesn’t write about these big threats to Christian faith. Mostly he writes about small threats to faith, stuff to which most of us can easily relate: saying we believe one thing but living as if we believe another; showing favoritism; losing our temper; judging others, gossiping, and putting people down with our words; forgetting about God in the busy-ness of our lives; trusting in money and material things intend of trusting in God. Which is why his letter is so down-to-earth and practical. James wants us to know that all these so-called little things can ruin our Christian faith and send us to hell as easily as the big things. Someone once said, “Don’t sweat the small stuff.” James tells us that all this small stuff is really big stuff! And James would agree with both of us—my behavior was causing me to lose my religion, and that Satan was at work through this lawnmower to wreck my faith! Because this is how it usually happens, James says. Not from the big stuff like suffering, persecution, martyrdom… but through the little stuff! “Murder is no better than cards if cards can do the trick”… Murder is no better than all these “little sins” James has been talking about… if these little sins can also do the trick. I’ve told you before that James often steps on my toes, and he’s doing it again in today’s scripture—when he talks about patience. Are we patient people? James gives us one test for knowing whether or not we’re patient. Look at what he says in verse 9: “Do not grumble against one another, brothers and sisters.” Grumbling? It seems like such a small thing, doesn’t it? Small thing? Hardly! James says we shouldn’t grumble because the Judge is standing outside the door! I took Latin in high school, and it was taught by a notoriously grouchy, deeply sarcastic Yankee from Boston named Coach Hogan. He was a brilliant man, rumored around school to have gotten a perfect score on the SAT. He was asked about it one time. In so many words, he said, “If I did, do you think I would be stuck teaching morons like you”—although I think that was his way of being humble. Coach Hogan was constantly ridiculing students, embarrassing them, putting them down—at least lazy students like me, who often didn’t try very hard. He didn’t really care about protecting our fragile self-esteems. One time he intercepted a note that one girl had passed to another student in class—and proceeded read it out loud in class, which revealed intimate details about the crush that she had on a fellow classmate. He would throw erasers at kids who dozed off in class. The truth is, I would probably love him today. A friend of mine credits Coach Hogan with instilling discipline within him, ultimately enabling him to get into medical school and becoming a doctor. But I didn’t see it that way at the time. “The judge is standing at the door,” James says. We Christians are going to face God’s judgment for these small things like grumbling. If we really believed that, wouldn’t we, like Coach Hogan, work harder to change our behavior? Grumbling against one another may seem like a small sin. But if it’s small, it’s small the same way a termite is a small. One termite isn’t a big deal. But they get together with other termites and end up causing more damage to homes each year than fires, tornadoes, and earthquakes put together! The problem with grumbling isn’t so much the words coming out of our mouths as it is the underlying attitude that causes it—and that attitude is resentment, one of the most dangerous emotions we can experience. Resentment is like termites eating away atnour soul. We often see resentment in marriage. We experience resentment when we we feel like our spouse isn’t meeting our needs. The main reason why our spouse isn’t meeting our needs, however, is because we haven’t told them what it is that’s bothering us! And we avoid telling them what’s bothering us because, well… that would just cause conflict, and conflict is… hard. It’s easier, we imagine, to just let things slide, and ignore the problem, and keep the peace—but that kind of peace that we’re keeping is like the peace that existed between the U.S. and the Soviet Union. It’s a “cold war” of resentment! And in marriage, resentment is a recipe for adultery and divorce! Have the courage to tell your spouse what you want and need from them! My wife, Lisa, has learned over the years to become very good at telling me what she needs. And I’m learning not get defensive when she does so. For example, Lisa does most of the housework around the house. I don’t mean to be male chauvinist pig. I recognize that it’s supposed to be 50-50, an equal partnership, and all that, and we both have full-time jobs outside of the home. But Lisa does well over half of the chores around the house; she always has. And she does everything so much more quickly than I do. It takes me three times as long to clean the kitchen, so for the sake of efficiency, she ought to do more of the chores! She tells me I’ll get better at it if I did it more often! The point is, she doesn’t mind doing most of the household chores—so long as I periodically tell her, out loud, that I appreciate all the hard work she does. In other words, she needs me to say thanks. And she reminds me that she needs that when I forget. And I promise I am slowly but surely getting better at not getting angry and defensive when she tells me that that’s what she needs. See, when she tells me what she needs from me, my tendency is to take it as a criticism and get defensive! “What do you mean you want to be thanked for your hard work? Are you saying I don’t work hard? You didn’t thank me last week when I did this or that.” Never mind that Lisa usually does notice the hard work I do and say thanks. But whether I need her to thank me is beside the point: That’s what she needs. But by being honest enough to tell me what she needs, even though it might mean an unpleasant conversation or an argument, I can give her what she needs. And when I do, that’s one less termite of resentment eating away at our relationship. In a recent podcast the Christian marriage therapist and author Hal Runkel was talking about this very issue. He said we married people ought to be “far more terrified of resentment creeping into our marriage than we are of conflict.” Conflict can be a potentially good and healthy part of a relationship, and it’s always better than that silent alternative, resentment. We sometimes think that being a Christians means we’re supposed to be the “bigger person,” when someone hurts us; we’re supposed to just let it roll off our back; we’re not supposed to be so sensitive. If someone hurts us, well, that’s what it means to “carry our cross”; we’re just supposed to forgive them up to 70 times 7 times and get over it! But this isn’t at all what Jesus teaches us at all. In Matthew 18, Jesus lays out rules for resolving conflict. And while it’s true we’re supposed to forgive, we’re also supposed to go directly to the person who’s hurt us and tell them what they’ve done that was wrong. Because if we don’t, guess what? That only leads to resentment, which will eventually lead to grumbling against one another. Most of you remember what you were doing on the morning of September 11, 2001. For my generation, it’s the equivalent of “Where were you when Kennedy was shot?” On 9/11, I was home from work with my two-week old boy, Townshend. And I remember how I felt that day, and in the days following. Although I was never in the service, I thought, “If President Bush called me right now and said, ‘Brent, I have a secret mission for you: I need you to parachute into Afghanistan and do some reconnaissance work for me against Al Qaeda,” I would have been like, “Yes, sir, Mr. President. When do you want me to leave? And, by the way, how do I work a parachute?” But I felt a sense of patriotic duty; I felt like I wanted to do something to defend this country I love. 9/11 reminded me that so many things that I take for granted can easily be taken away. It was a wake-up call. My priorities changed. I so easily grumbled and complained and got irritated over trivial things that don’t amount to much. What do I have to complain about? I have my wife, my family… precious and fragile gifts that could be taken away in a moment’s notice. I also remember that I didn’t mind the inconvenience of waiting in security lines before going into football stadiums or concert venues or airports. I do now! But I didn’t back then! There’s nothing like a good life-threatening crisis to get our attention, and cause us to reevaluate our priorities and values, to make us focus on what’s most important! 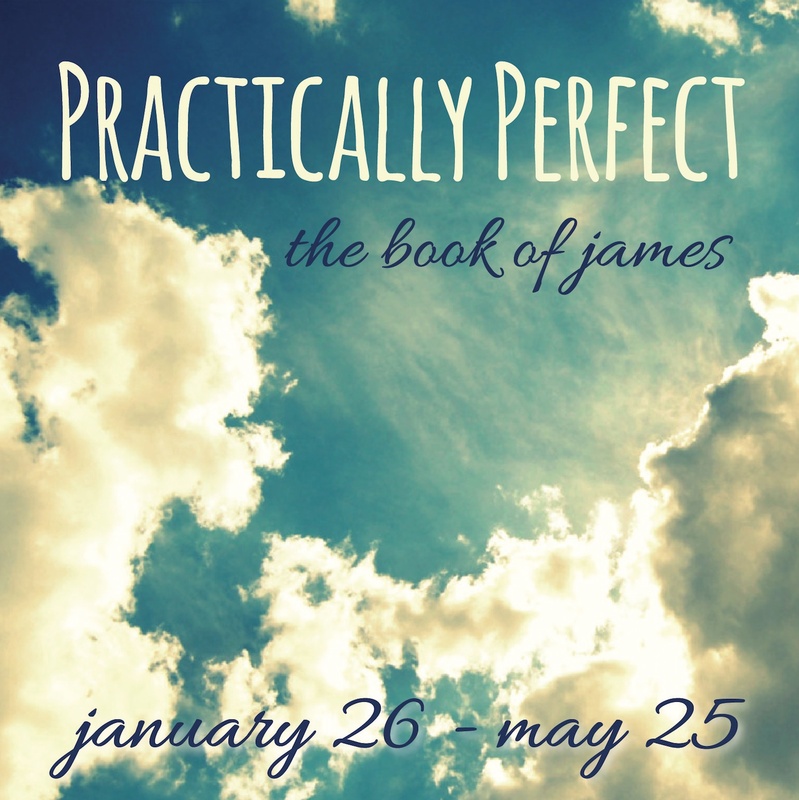 But James reminds us in today’s scripture that, in a way, we’re always facing a crisis: the Second Coming of Jesus Christ. And it may happen very soon. Just last November, Pope Francis said that the recent increase in in the persecution of Christians is what we should expect to happen before Christ comes again. It’s a sign, he says. But even if it’s not happening soon, consider this: the coming of the Lord will happen when we die. That may not be the end of history as we know it, but it’s the end of our history. At that point, we’re out of time… We’re out of time to make amends, to seek forgiveness, to do the important work that Jesus has called us to do. Our mission is urgent. Our time is short. People we know and love—family, friends, coworkers—and people we don’t know but who live very close to us, are living and dying without being in a saving relationship with God through Christ. That’s a crisis for us! What are we going to do about it while we still have time? That’s the question? In verse 11, James refers to another thing that helps keep our resentment and grumbling in check: we remind ourselves that the Lord is “compassionate and merciful.” So, for example, when we’re tempted to grumble and complain, when we struggle to forgive someone who’s hurt us, we remind ourselves what we did to hurt our Lord Jesus. Our own sins put Jesus on the cross. He could have resented us and grumbled against us. After all, we wronged him far more than anyone has ever wronged us! 1. C.S. Lewis, “The Screwtape Letters,” in The Complete C.S. Lewis Signature Classics (New York: HarperOne, 2002), 220. This entry was posted on	May 28, 2014 at 9:08 am	and is filed under Uncategorized.